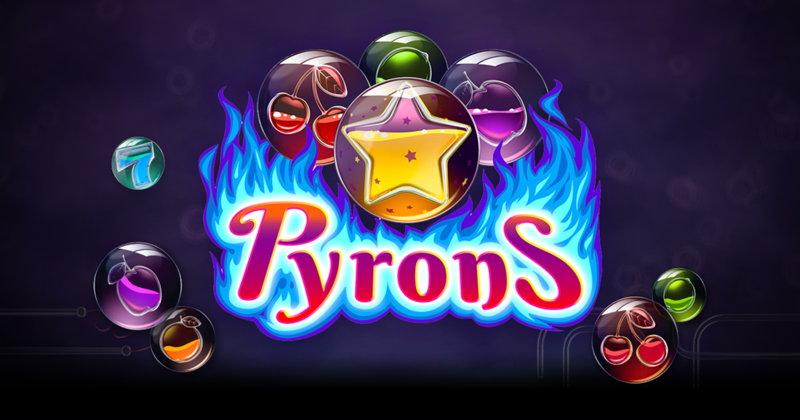 Pyrons is a fire themed game, with a classic twist, all in all one of the more unusual titles from Yggdrasil Gaming. In Pyrons, the action appears to be taking place in a factory of sorts, the reels being occupied by round orbs of different colors, inside which you see classic symbols which appear to be half filled with liquids. When forming combinations, the liquids in those symbols start to boil and catch on fire, making the orbs explode. It’s one of the more interesting uses for the classic theme that I’ve seen so far, and I believe that placing a bet on its 20 lines and trying to get that $100,000 jackpot could be a good idea. The four symbols which are used are all inspired by the classic slot machines, showing you a Golden Star, a Blue 7, a Plum, Cherries, a Lemon and an Orange. They’re all actually placed inside orbs, and they are filled with liquid part way, which will move as the orbs land on the reels, and then they will catch fire if they form a combo. The 5 reels have a total of 20 lines on them, and they can all be activated with a similar number of coins. The coin value goes from $0.01 to $2, so the biggest wager allowed is at $40 per spin. As I’ve mentioned before, the symbols will form their combinations, and then they will catch on fire and they will soon explode, leaving their former spots now empty. Empty spots don’t remain that way, new symbols coming in and taking their place. The idea is that the new symbols will give you an extra chance to form a combination, as part of the same spin. Each new win that you get, as part of the same round through respins, will have an increased multiplier. It starts at 1x for the initial spin, then 2x for the first respin, 3x for the second, 5x for the third one and 20x for the fourth one. A 20x multiplier for a win is actually quite impressive, and it could take the jackpot up to $100,000. There are no symbols with special abilities in Pyrons, so it relies only on its six symbols that form combinations and trigger respins with multipliers. With only four symbols used by the game, there are good odds that you will be able to trigger this respin feature fairly often. It’s an interesting idea, and I found myself enjoying the game, despite the lack of typical features in it. I loved the 20x multiplier idea, which you get after just four consecutive respins.